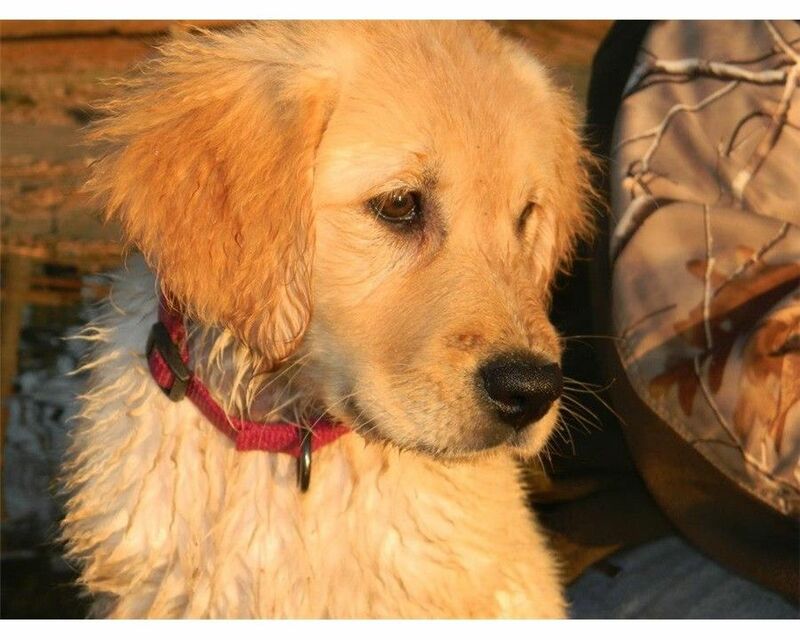 This was Maggie's first time swimming and retrieving her bobber toy. 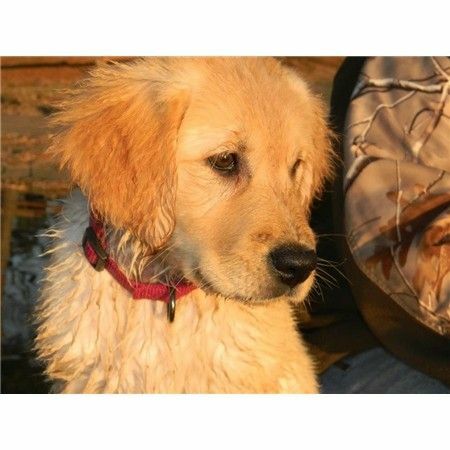 She is a three month old golden retriever. What a cutie! Her eyes are beautiful and she looks like she is enjoying this training session!